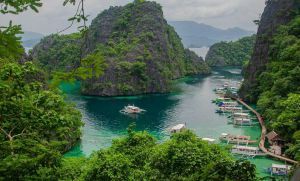 With the many tourist destinations Philippines has to offer, there is not much written about a backpacker’s haven, Limasawa Island, located in Eastern Visayas. Considered to be the smallest municipality in the province, there is much to experience in this beautiful part of Southern Leyte. Situated at the tip of the Leyte mainland, it is known to be the historic site where the first Christian Mass in Asia took place in 1521. It is said to be the place where Magellan and his fleet docked and made friends with then Rajah Siaiu and his brother, Rajah Kulambu of Butuan. The instant camaraderie led them to make a blood compact, a ritual popular among indigenous tribes and performed to seal friendships. 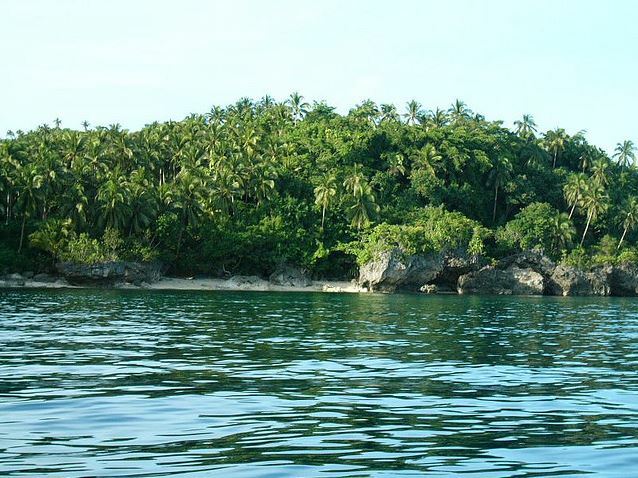 And although there have been an ongoing debate on the authenticity of the story, with some claiming the first Mass was held either in Masao, Butuan or Bolinao, Pangasinan, centuries before the Portuguese explorer discovered the Philippine archipelago, Limasawa remains to be must-see for travelers looking for a new and awesome laidback experience. For religious and non-religious travelers alike, this is a perfect destination for meditation as well as some peace and quiet, away from the noise of city living. Located in Barangay Magallanes, on the foot of a hill, this shrine was built to commemorate the first Christian Mass held on March 31, 1521. Inside the site are paintings and sculptures depicting the events that took place that significant day. An added attraction or perhaps, treat is the wishing well just outside the shrine for those who want to make their wishes come true. After a visit to the shrine, a 450-step climb to the hill leads you to the First Cross. It is said that after the Mass was celebrated, Magellan asked some of his men to put a wooden cross on top of the hill. Climbing may be tough for some but the picturesque beauty of the sea below makes it worthwhile. Dive enthusiasts, beach lovers and trekkers can explore the coral reefs and witness the beauty of marine life as well as spend the day walking the trails and enjoying a night of camping out. 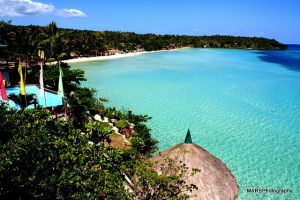 The pristine beaches are located in two barangays, Cabulihan and Lugsongan while the coral reef occupies an 800 meter area. For the thrill of spelunking and experiencing an awesome view on top of a cliff, San Agustin and Magallanes are the places to go to. The lighthouse is an awesome sight complemented by the clear and calm blue waters of the sea below. Limasawa Island, Southern Leyte can be reached via a plane ride to Tacloban or a bus ride to Hinunangan, one of the town of province, from the City of Manila. From Tacloban, reaching Maasin, the gateway of the island is a 3-4 hour travel riding a bus or van. Fare is around P220. This trip is then followed by a 30-minute bus ride to Padre Burgos, which is the jump off point to Limasawa and costs around P30. A 45-minute ride on a pump boat for P50 takes you to the island. Getting around the island can be on a motorcycle ride or what is called as “habal-habal” for only P15/person. However, exploring the place on foot is also worth a try. A good accommodation choice is Dakdak Beach Resort. For as low as P500 for a cottage rental and an overnight stay of P1000 for a room, one can enjoy home-cooked meals and the beach. Limasawa is indeed a place to visit for a taste of rich culture and history. Tourists will not only enjoy its scenic spots and beautiful beaches, they will also be enchanted with the locals ready to welcome visitors in their community.